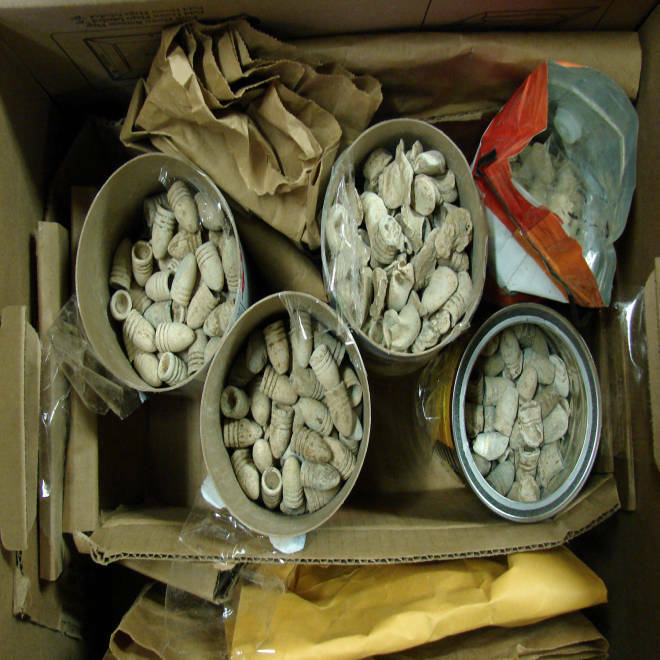 Buckets of Civil War bullets seized by the government after a search at John J. Santo's home. Scientific archeological data is lost forever because the exact location of the finds was not recorded. A Virginia man convicted of taking more than 9,000 artifacts from a Civil War battlefield was engaged in "heartbreaking" destruction of American history, experts say. John Jeffrey Santo, 52, has been sentenced to 366 days in prison and must also pay $7,346 restitution to the Petersburg National Battlefield for damage caused by his excavations, according to the decision handed down Wednesday by U.S. District Court Judge James Spencer. Santo, who is unemployed and a native of Pennsylvania, used a metal detector and sometimes his dog to look for Civil War-era artifacts that he could collect and sell. Relic hunting is like ripping a page from a book, Randy Jones, spokesman for the Virginia Department of Historic Resources, told msnbc.com. Part of an an artifact's true value comes from the context it is discovered in, he explained. 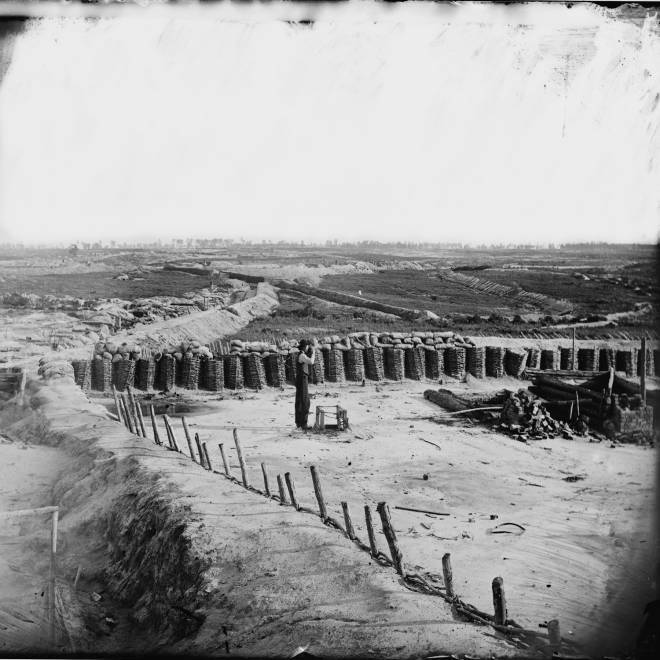 "It happens more than we know about," James Blankenship, a historian at the Petersburg National Battlefield, told msnbc.com. "The biggest loss is the loss of historic information." According to the Richmond Times-Dispatch, investigators recovered more than 9,000 relics, including bullets, buckles, cannonballs, breastplates and buttons when they caught up with Santo last year. Authorities also found a handwritten journal the man kept of his illegal excavation trips, which happened regularly between 2006 and 2010. 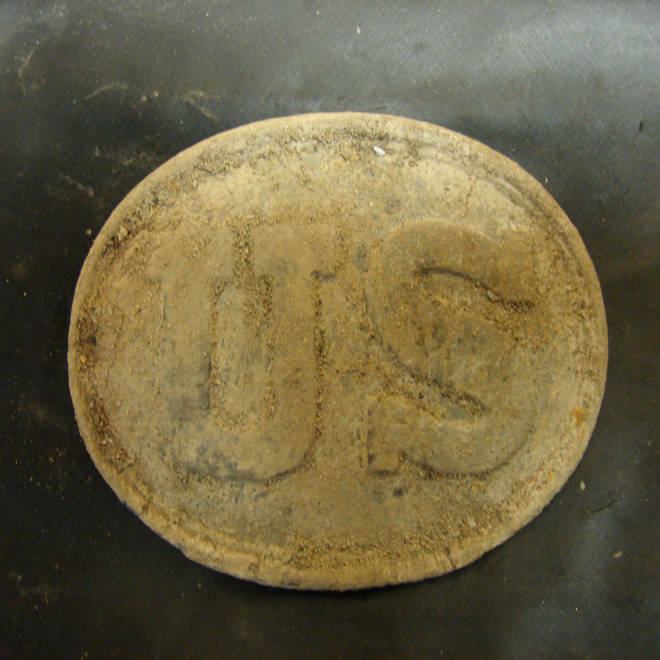 Union Army soldier's belt buckle. Unauthorized excavation may have disturbed a soldier's grave. "The defendant's journal is a tell-all of his misconduct, identifying with a high degree of specification where he engaged in metal detecting/relic hunting and when and what he recovered," Assistant U.S. Attorney N. George Metcalf wrote in federal court papers. "He even kept a running tally of the items he found from day to day on a yearly basis." Blankenship said in one instance Santo wrote about discovering five buttons in one place, which suggests that a previously undiscovered body of a soldier had been buried there. Santo pleaded guilty in December to two counts of damaging archaeological resources and one count of pillaging Petersburg National Battlefield. He is regarded as the park's most prolific relic thief. "It's just heartbreaking," Julia Steele, an archaeologist and the battlefield's cultural resource manager told msnbc.com. Steele said Santo systematically pillaged several sites to the point that the scene made her physically ill.
With TV shows such as the recently launched "American Digger," Steele said pop culture tends to glorify relic hunting. Many people see it as a "treasure hunt," she said. Santo's attorney described him in court papers as a recovering alcoholic afflicted with an anxiety disorder that prevents him from working or socializing with people. Santo lived with his girlfriend in a house about two miles from the battlefield park. "His anxiety prevents him from going into stores and restaurants and prevents him from working, unless it is a job he can do with a friend," court papers read. "As a result of his disorder, he rarely leaves his home, and prior to his arrest in this matter, his walks and metal detecting in the National Battlefield with his dog was his only outlet." Santo's attorney said her client never sold anything he recovered, according to court papers, but prosecutors said Santo must have found a way to make money from his exploits. Subpoenas of online auction houses and local retailers did not uncover any evidence, The Progress-Index reported. Blankenship said relic hunters are secretive and their transactions rarely leave a paper trail. "This guy was in it for profit," he said. Hidden cameras captured Santo in the act, and Blankenship hopes more will be installed throughout the park. He said law enforcement officers sometimes organize stakeouts, but relic hunters tend to hide in the harder to monitor wooden areas. Blankenship says Santo's acts were "thievery and robbery" and hopes his sentence sends a strong message to other relic hunters.